their culture, music, language, and arts. 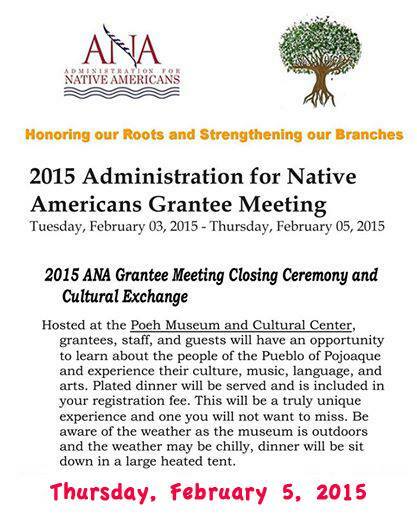 Hosted at the Poeh Museum and Cultural Center, grantees, staff, and guests will have an opportunity to learn about the people of the Pueblo of Pojoaque and experience their culture, music, language, and arts. 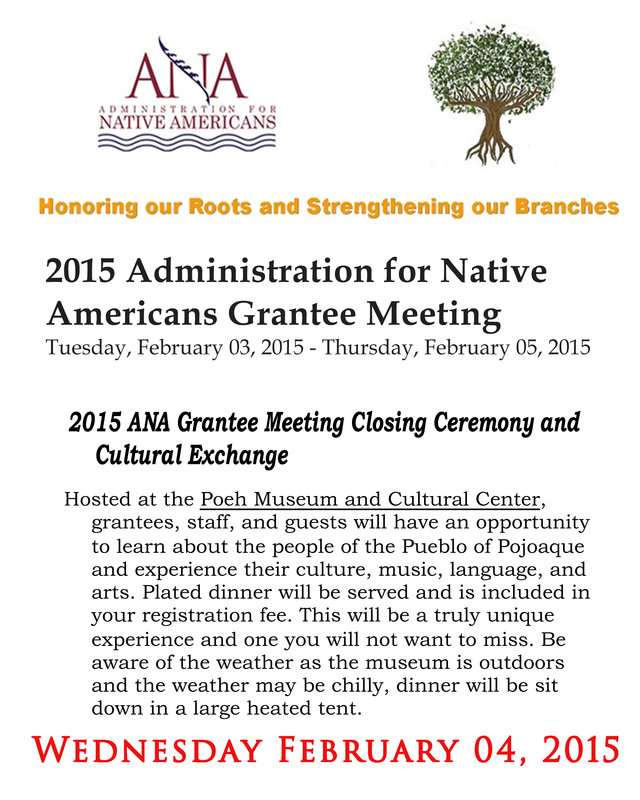 Plated dinner will be served and is included in your registration fee. This will be a truly unique experience and one you will not want to miss. Be aware of the weather as the museum is outdoors and the weather may be chilly, dinner will be sit down in a large heated tent.